Author Manil Suri needs little introduction. 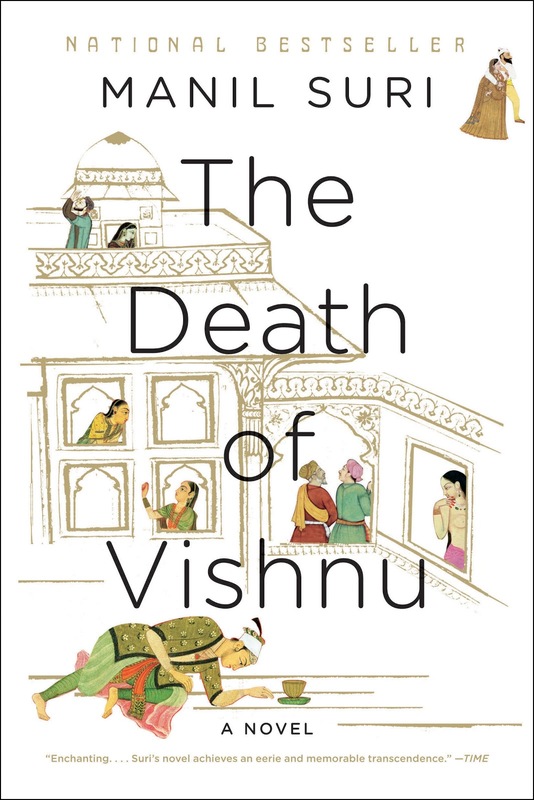 His debut novel, "The Death Of Vishnu" which created a huge buzz and was a success all the way, was long-listed for the 2001 Booker Prize, short-listed for the 2002 PEN/Faulkner Award and won the Barnes & Noble Discover Prize that year. 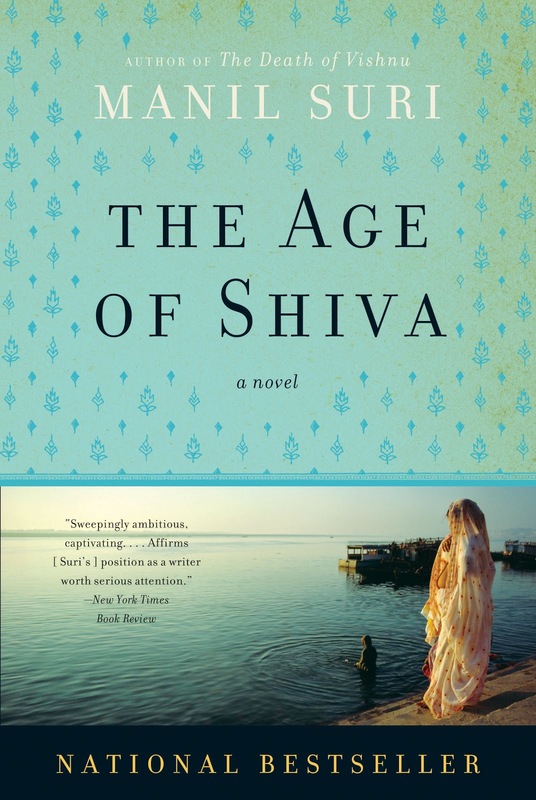 His second novel was The Age of Shiva. 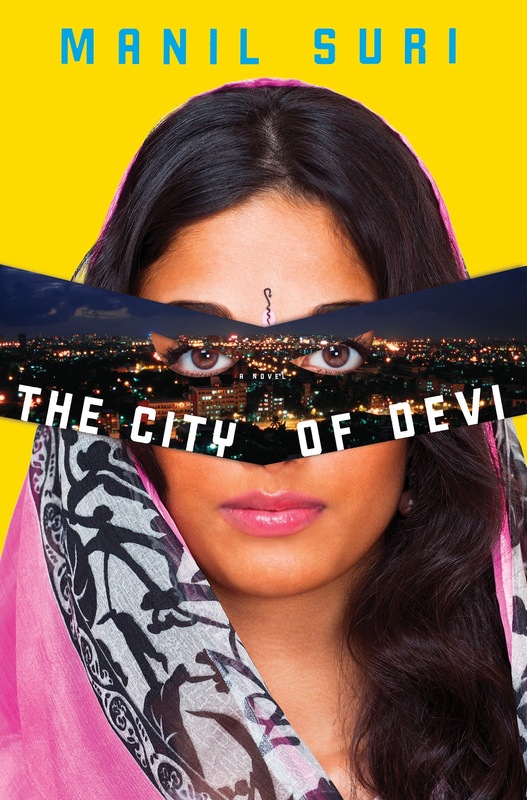 His third novel, The City of Devi, was released in February 2013. Manil Suri was born and raised in Mumbai until he came to America to attend Carnegie Mellon University in Pittsburgh, PA. Manil earned his Ph.D in Mathematics after which he started working as a Professor of Math, which he continues to do till date. How does he find time to write these novels, how did he get trained to become a writer? Manil Suri took time out of his hectic schedule to answer some of these questions and more for Suprose. You are a mathematician by profession. How did writing come into your life? When did you know you wanted to be a writer? In 1983, when I first became a professor, I realized I needed to do something else besides mathematics, so that I wouldn’t be as one-dimensional as some academics can get. So I started writing short stories – purely as a hobby, and maybe just one every year or two. Very much in secret, because I wanted to be taken seriously as a mathematician by my colleagues, wanted to get tenure. I didn’t really want to “be” a writer, I was content to be a mathematician with a hobby. How did you pursue it, from a training standpoint? Did you attend any classes, get any formal training? The first step was to join informal writing groups. The one that sticks out in my mind was “People of Color, Third World, Gay and Lesbian Writing Group” – I never was clear how many categories you had to belong to in order to join, but it had writers much more advanced than I was, so I learned a lot. (Sadly, the group imploded when a woman who identified as bisexual wanted to join, and we couldn’t agree on whether or not to allow her in.) After several years (12 to be precise), I took a writing class at the Writer’s Center in Bethesda – the instructor was Jane Bradley, a great writer, and also a friend of mine. 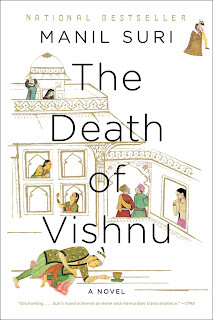 That’s when I was working on the opening chapter of “The Death of Vishnu” (just a short story at the time). After that, I got accepted to a community outreach class at George Washington University led by Vikram Chandra, and a year later, I took a 5 day workshop at Fine Art Work Center in Provincetown with Michael Cunningham. He was the first one to say, bluntly; “You are a writer.” It really hadn’t occurred to me before. Most aspiring writers are disillusioned by the whole acquiring and agent and getting published process. How did yours come about and how easy or difficult was it for you to get that first book published? I was very lucky. After my writing workshops, I managed to get fellowships at some artist colonies (first VCCA – Virginia Center for the Creative Arts, in 1997 and then the MacDowell Colony in 1998). At the latter, another resident who heard me read from my work said he knew the perfect agent for me. So when I finished my novel in 1999, I sent it to him, and he passed it on to this agent. She loved it, and not only submitted it to the right editors, but also managed to get an excerpt published in the New Yorker. There were auctions all over the world – it was all very exciting. What was your reaction to your first novel getting long-listed for the Booker Prize? It was thrilling for the month or so before I got eliminated. But there was more to come, and the book did end up winning the Barnes and Noble Discover Prize, among others. Initially you had talked about a trilogy. After Vishnu and Shiva, it was natural for many, such as me, to expect a Brahma based story. So why Devi? The switch came somewhere in the middle of the book. Mumbai is under the threat of nuclear annihilation and a deity has supposedly materialized in person to save the city. Brahma, the creator, simply didn’t fit very well – but Devi, who also represents destruction, seemed to be the right choice. Given that she also takes the form of Mumbadevi, the patron goddess of Mumbai (the city’s name comes from the words “Mumba” and “ai” – both related to “mother” in Marathi), the choice also underlines the fact that the trilogy is also about Mumbai (by extension, India) – it’s present, past and future. And if one wants to get technical, the true Hindu trinity (in terms of numbers of worshippers) has Devi supplanting Brahma. In fact, Hinduism originally consisted of three strands (Vaishnavism, Shaivism and Shaktism) which were woven together in post-Vedic times. The addition of Brahma to the trimurti was never very successful according to scholars like Majumdar. One can still find trinities of two male and one female deities, for example in Jaggannath. You were at the Jaipur Literary Festival, did you attend any others in India while you were there? What do you think about literary festivals and what they hope to achieve? I also attended the Apeejay Kolkata Book Festival right before. I think it’s great that literary festivals have been getting so much attention in India – the one at Jaipur now has an extremely high profile, worldwide, with 50,000 attendees. Not sure how many of the festival-goers buy books, but the fact that they come and sit in the audience and listen to writers speak is wonderful. Your thoughts on the burgeoning publishing industry in India? Surely this must be due to increasing demand, and who could be against more people reading? The one fear is that it might get too easy to be published. I personally honed my craft for over two decades before getting anything in print, and there’s a real danger for authors if they get published too soon. How do you balance mathematics with writing? How do the two come together in your life? I’ve been trying more and more to weave together these two strands – for instance, my next work is going to be a mathematics novel. My idea is to incorporate little bits of mathematics into the narrative – at a level accessible to everyone. A way to do mathematics outreach, make some inroads into a very math-phobic society. It’s the first draft. I literally feel I have to extrude it out, word by word. Once that’s done, the polishing and editing is something I look forward to. And in terms of writing novels, the plot is definitely more difficult for me than the characters. What are some tools that you use when you get to a tough spot during the writing process? Sleeping on it often helps. Problems that seems intractable the night before have this magical way of resolving themselves when revisited at 6 am the next morning. Bicycle rides also help. I find myself diagramming plot outlines as well, drawing possibility trees to track the different branches, much like possible hierarchies of moves in a chess game. Being kept from doing creative work for an extended period. That’s why having a demanding teaching schedule can help – by the end of the semester, I’m all charged up to get back into writing. 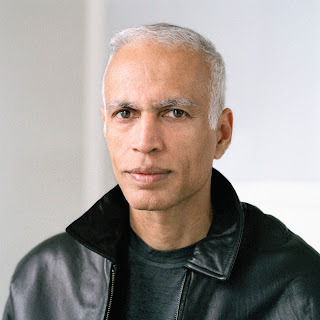 What do you read for pleasure - both Indian authors and non-Indian authors? Who are some contemporary favorites? I mainly read fiction. At the Jaipur Literary Festival, I was on a panel with writers who write in regional Indian languages, and I had the pleasure of meeting Benyamin, who writes in Malayalam. I read “Goat Days” his breakout bestseller – a wonderful story, reminiscent of “Life of Pi” in some ways. Some authors I follow are Margaret Atwood, Orhan Pamuk, Kazuo Ishiguro, J.M. Coetzee. Amongst young Indian writers, I look forward to reading the next works by Aravind Adiga, Manu Joseph and Aman Sethi. If I looked at your to-read pile on your nightstand, what would I find? Just added “Out: Stories from the New Queer India” an anthology on gay fiction, “The Marriage Plot” by Jeffrey Eugenides and “The Twelve Tribes of Hattie” by Ayana Mathis. Scared to look what else is there. What are your thoughts on South Asian fiction today? It’s so diverse – great to see not only Indian voices now, but also wonderful work from Pakistan, Bangladesh, Nepal and Sri Lanka. Particularly looking forward to the final part of Tahmima Anam’s trilogy – “The Good Muslim” was a devastatingly good book. What is next for you from a writing standpoint? Are you at work on your next novel, can you say anything about it? Are Short Story Collections In Vogue Again?